A little boy in math class overwhelmed by math. TORONTO — Math test scores among public elementary school students in Ontario have not improved — in some cases they have decreased slightly — despite a $60-million "renewed math strategy" the government had hoped would help solve the problem. The latest results of the province's standardized tests — conducted by the Education Quality and Accountability Office — show that only half of Grade 6 students met the provincial standard in math, unchanged from the previous year. In 2013, about 57 per cent of Grade 6 students met the standard. And among Grade 3 students, 62 per cent met the provincial standard in math, a one-percentage-point decrease since last year. Norah Marsh, the CEO of EQAO, said math scores remain a concern and digging deeper reveals one area the province would like to focus on. "For the students who met the standard in Grade 3, not as many are meeting it in Grade 6," she said. "Certainly, that's an area of focus as far as intervention between Grades 3 and 6 so they can achieve better results." By Grade 9 the gap widens between the math haves and have-nots. In the math academic stream, 83 per cent of students met the provincial standard, the same score as last year, but only 44 per cent met the standard in the applied math course, a dip of one percentage point. Academic courses focus more on abstract applications of concepts, while applied courses focus on the practical. "It's disappointing," said Mary Reid, a math education professor with the University of Toronto's Ontario Institute for Studies in Education. "The ministry needs to work towards eliminating the streaming of Grade 9 students this early on. In the spring of Grade 8 students are making decisions about being university bound or non-university bound and they're only 13 years old." Reid, Marsh and Cathy Bruce, the dean of education at Trent University, all agreed one area of focus should be what's known as self-efficacy — a student's belief they are good at math. A survey of students as part of the standardized testing showed that only 56 per cent of Grade 3 students and 53 per cent of Grade 6 students believe they are good at math. "We need students to actually believe they are good in math," Bruce said. "It's an excellent predictor of student achievement." In response to math scores last year, the province announced a new math strategy. The $60-million three-year plan puts an average of 60 minutes per day of "protected math learning time" in the curriculum for Grades 1 through 8. It also designates up to three "math lead teachers" in all elementary schools and a dedicated math professional development day. On Wednesday, Education Minister Mitzie Hunter called for patience with the program after its first year. Mitzie Hunter speaks at a press conference in Ontario's legislature buildings on Dec. 8, 2014. "We want to give it time to be able to see the impacts and the assessments on students," Hunter told The Canadian Press. "But it will focus on math instruction and different types of ways of teaching math." She admitted, however, that she'd been hoping to see some improvement in the latest math scores. Reid is calling for an overhaul of the curriculum and to make math proficiency tests mandatory for elementary school teachers, as it is for French and English. 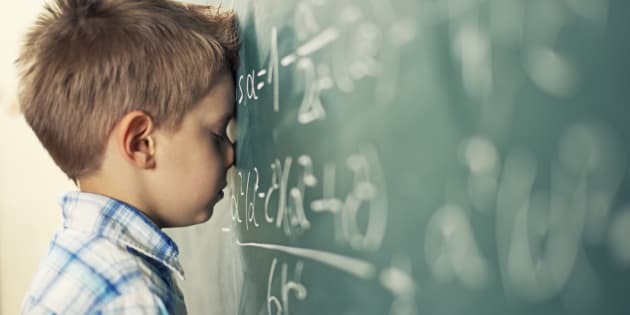 Her research shows elementary school teachers in Ontario struggle with basic math skills that leads to "math anxiety" that affects their teaching, and, thus, the students' learning. Yet it's not all doom and gloom, according to Bruce, who believes the province's new strategy is starting to work. "Now we're flatlining and that's a really good thing," Bruce said. "I wouldn't have expected to see a big jump all of a sudden — that's not how it works. Math is a complex area of the curriculum and it's complex both for teachers teaching it and students learning it." Meanwhile, writing levels among Grade 3 and Grade 6 students declined by one percentage point since last year to 73 per cent and 79 per cent respectively. But over five years the numbers are mixed, showing a drop in writing standards by four percentage points in Grade 3 and an increase of three percentage points in Grade 6. The EQAO's report, released Wednesday, said reading has improved slightly for Grade 3 students, with 74 per cent meeting the provincial standard, and remained steady for Grade 6 students, with 81 per cent meeting the provincial standard.